Wii U Releases Will "Dramatically Increase"
Nintendo is impressed with the 3DS's digital sales and wants fans to prepare for more Wii U games on the horizon. The Wii U has been available at retail for several months now, but for some the console still doesn't warrant a purchase. Sure, it's new and that GamePad is fancy, but at the end of the day its library is a bit on the scant side, with only a few original and exclusive titles to its name. Perhaps learning some lessons from the content droughts that afflicted the Wii over its lifespan, Nintendo wants to affirm to its customers that releases for the Wii U will be picking up soon and fast. "The pace of launches has been slower than we hoped," said Reggie Fils-Aime, president of Nintendo of America, speaking to GamesIndustry. 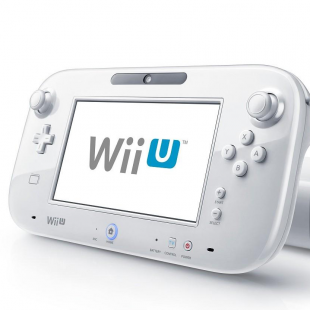 "But as we prepare for E3, the pace of launches for Wii U is going to dramatically increase." While some will likely remain skeptical, there is recent evidence to suggest that Nintendo will fulfill this promise of new games. The 3DS, similarly criticized in its early days for its small selection of games, is now developing a more respectable library. Just yesterday, Nintendo announced a bevy of titles coming to the handheld in the near future. Among these will be new entries for several of its core franchises, including Super Mario and The Legend of Zelda. A similar slew of announcements for the Wii U could serve as incentive for reluctant gamers to adopt the console. Whatever Nintendo has planned, there's a chance a portion of it may be digital. Recent digital sales have been enough to impress the company. "We have 15 Nintendo-published titles available, both physically and digitally [on the 3DS]," said Fils-Aime. So far in 2013, of those 15 available in this format, 11 percent of sales have come through full digital downloads of those games." While nothing has been announced, if this appreciation translates into more support for Nintendo's digital storefronts, it could be a potential boon to both the 3DS and the Wii U.